Welcome to the Warner Amazon Expedition, Official Site! 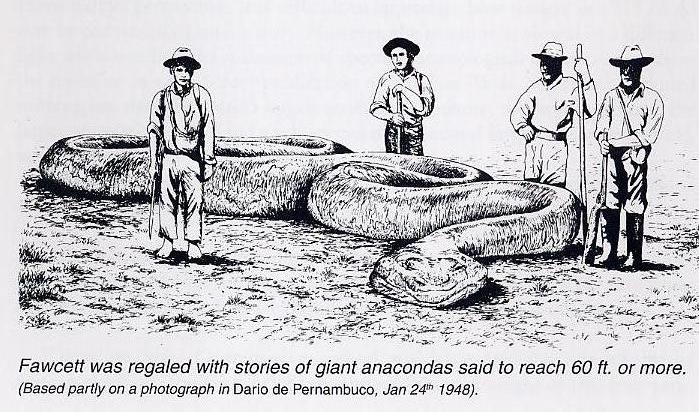 The purpose of this Web site is to share information about the discovery of a giant snake in the Peruvian Amazon, in March 2009, measuring 40M in length x 2M in Width, with an exposed eye 10" in diameter (25cm) known to the indigenous tribes as Yacumama or Black Boa. We want to share this information with people interested in supporting our work and our aim of retuning to the Peruvian Amazon for a follow-up expedition. We can collect conclusive photographic evidence that the once 'mythical' giant anaconda and Mokele-mbembe really do exist today.